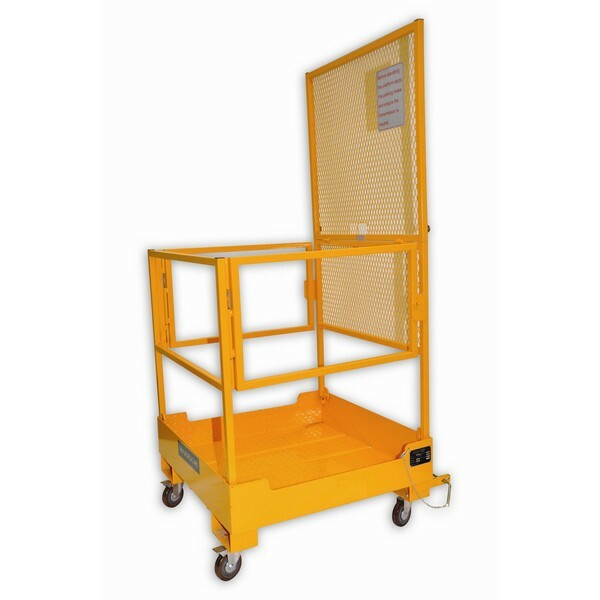 The access or maintenance platform is essentially an elevated work platform; otherwise known as: cherry picker, boom lift, man lift, basket crane or a hydraladder. These are mechanised devices utilised in order to supply access temporarily to areas inaccessible, due to height or position, for both manpower and equipment. Generally these work platforms are used for construction and maintenance purposes, due to their ability to provide both flexible and temporary access to areas otherwise inaccessible; a valuable asset to any workforce. 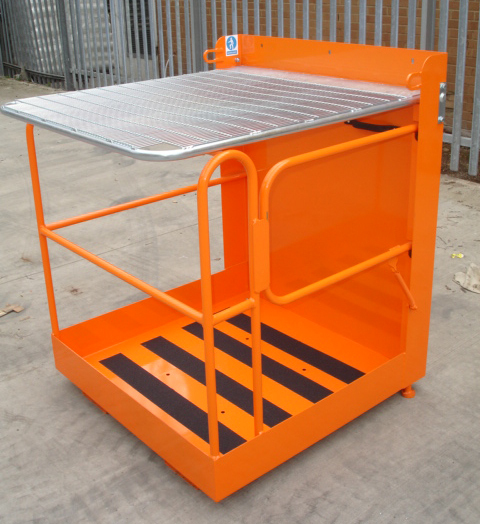 At Tiger we currently offer four Access and Maintenance platforms; however this platform is extremely versatile, enabling it to easily assume a wide variety of roles and functions, simply and effortlessly. 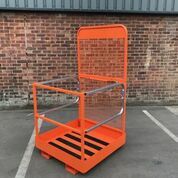 Due to the platform being a forklift attachment, use and possession of a forklift is essential in order to utilise this product; connection to a forklift is straightforward, simply secure the unit onto the trucks forks with the fork heel pins and the retaining chain which are provided as standard. The surface of the workspace is coated with a slip resistant material, and contains drainage holes; enabling the platform to be used safely, even in wet conditions. Access to the platform is provided with a spring loaded swing door, which opens inwards to provide safety and security for workers on the platform. The unit provides two safety bars which run parallel around the platform, ensuring security and safety whilst the platform is raised; whilst the platform is at its lowest or in the process of being lowered, a personnel guard has been fitted in order to avoid collision with the forklift and providing protection. When not in use the unit can be effortlessly folded to allow for uncomplicated and straightforward storage within minimum spatial requirements. Mobility and movement on the floor is effortless, supplied by four castors which are included in the basic package but unfitted.